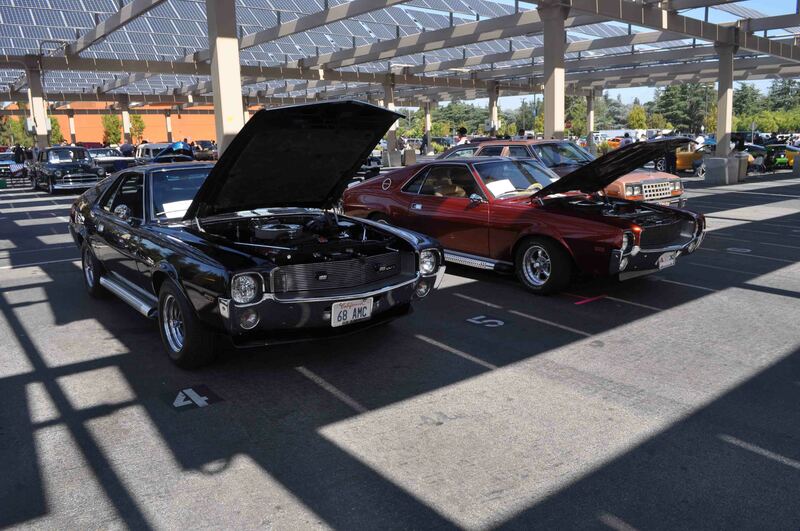 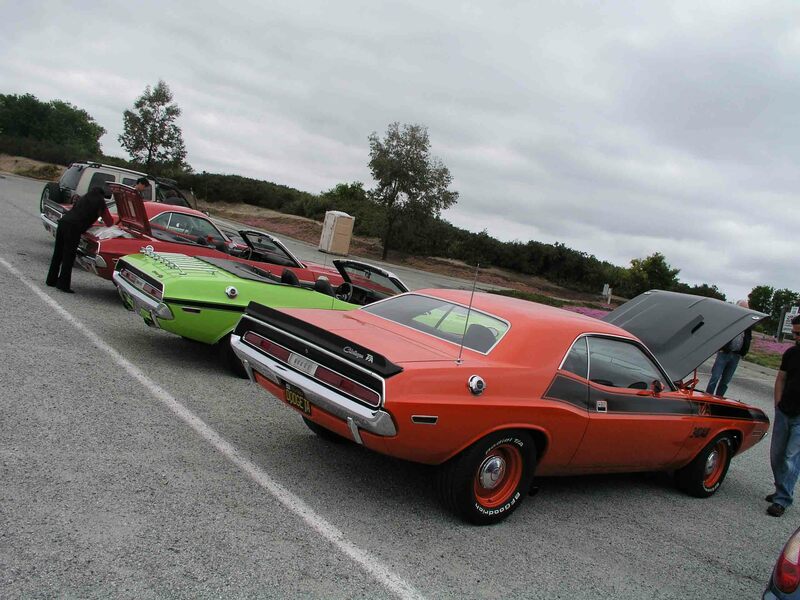 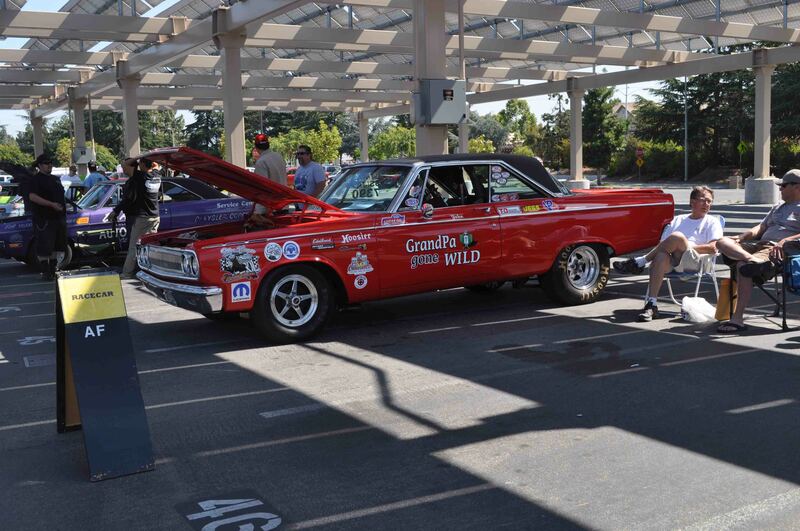 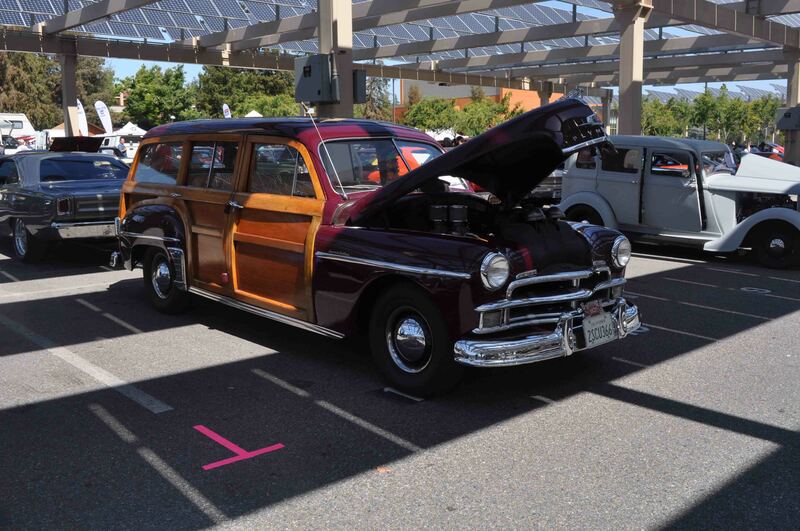 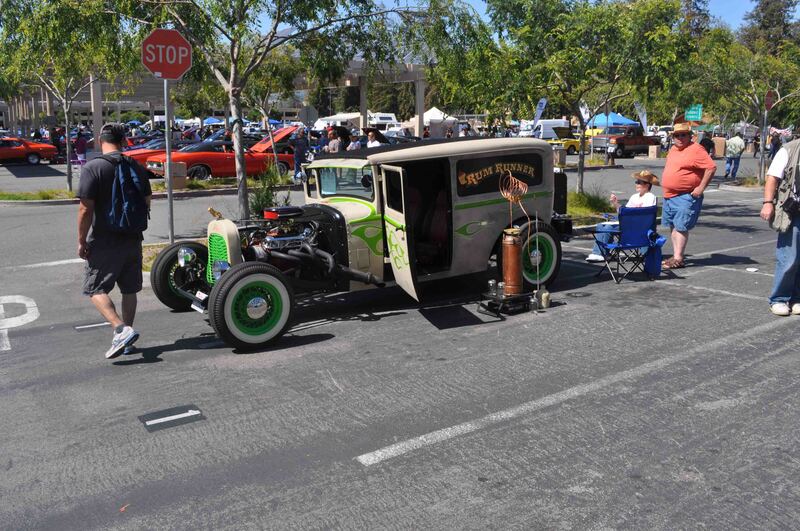 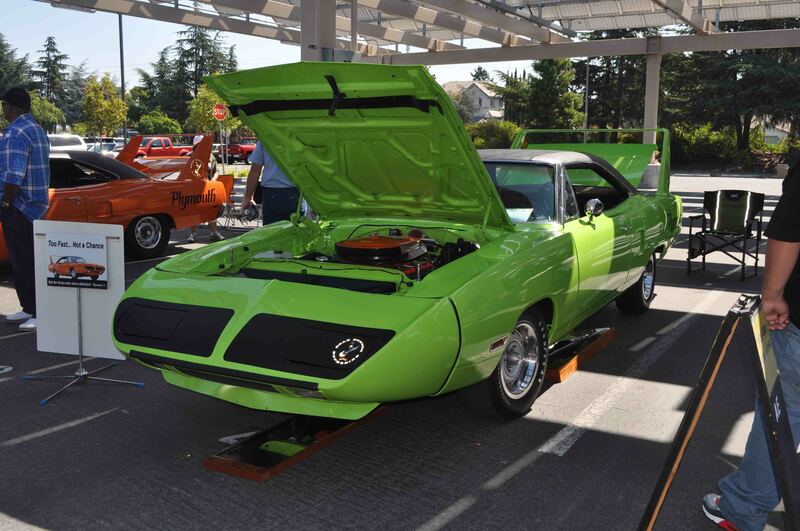 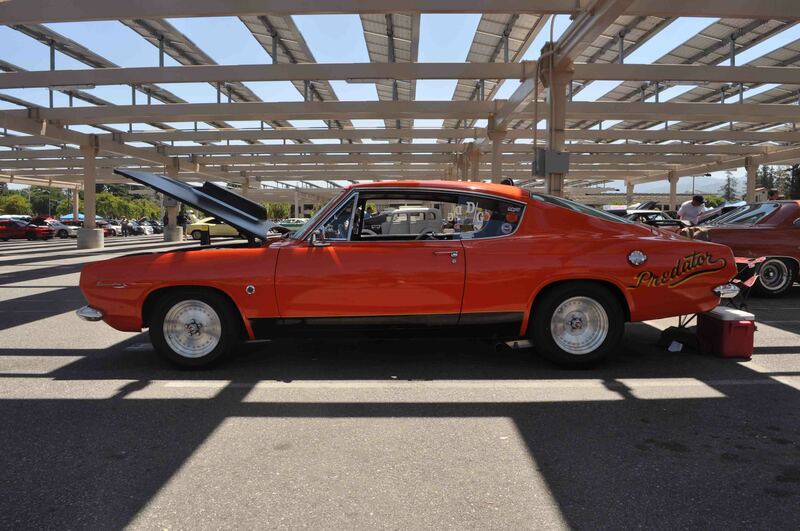 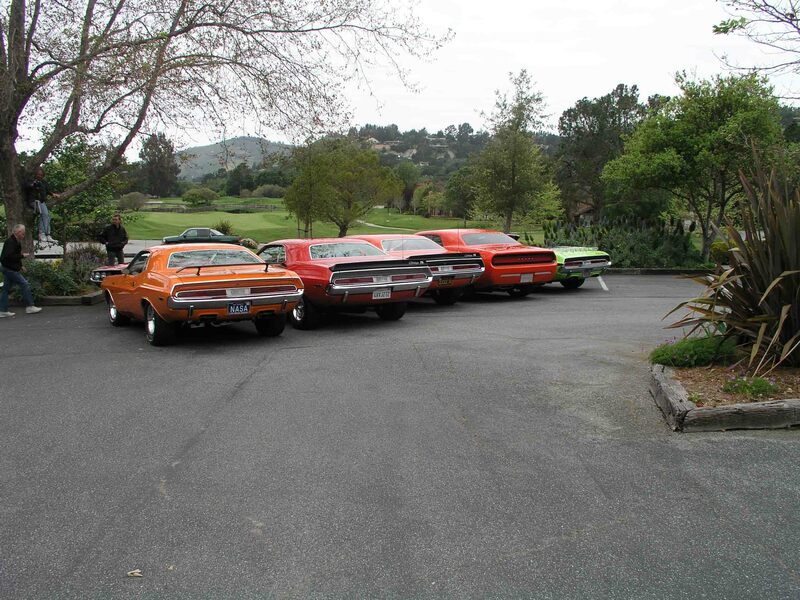 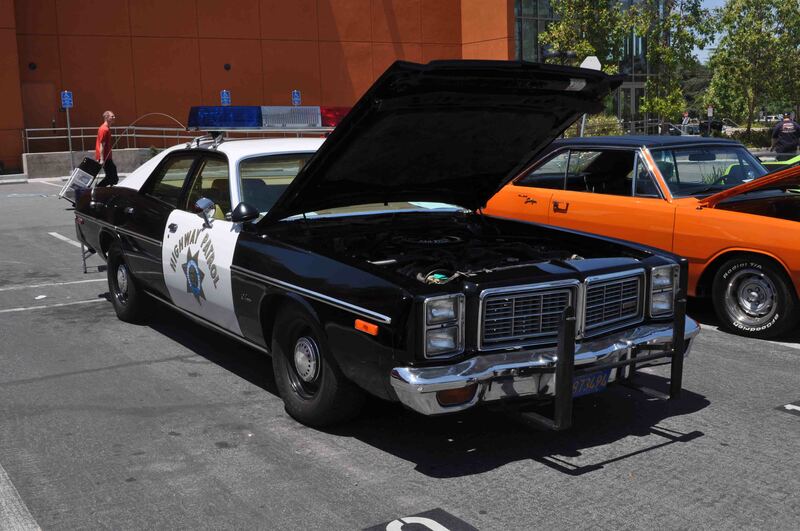 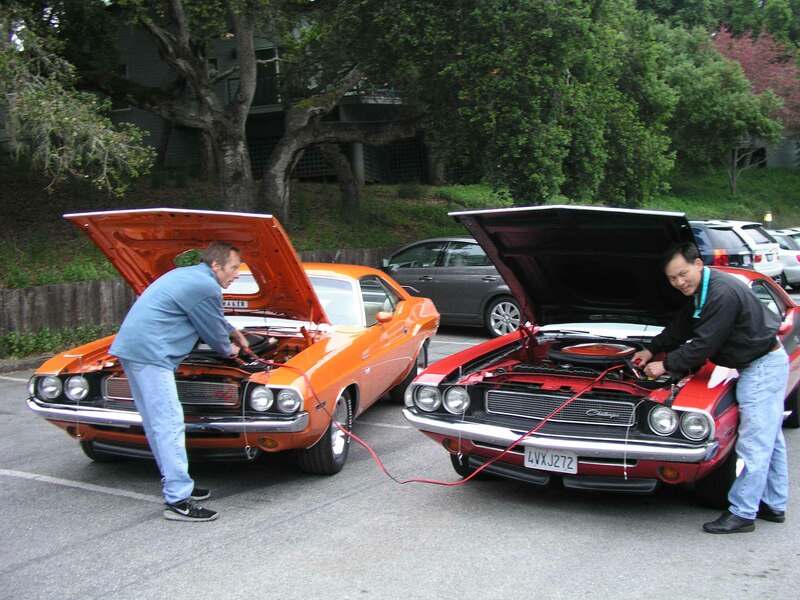 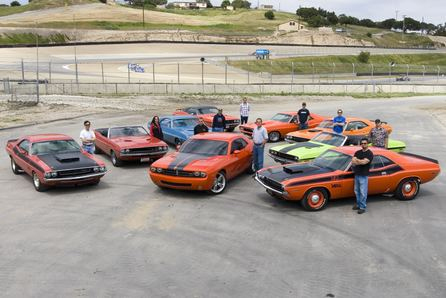 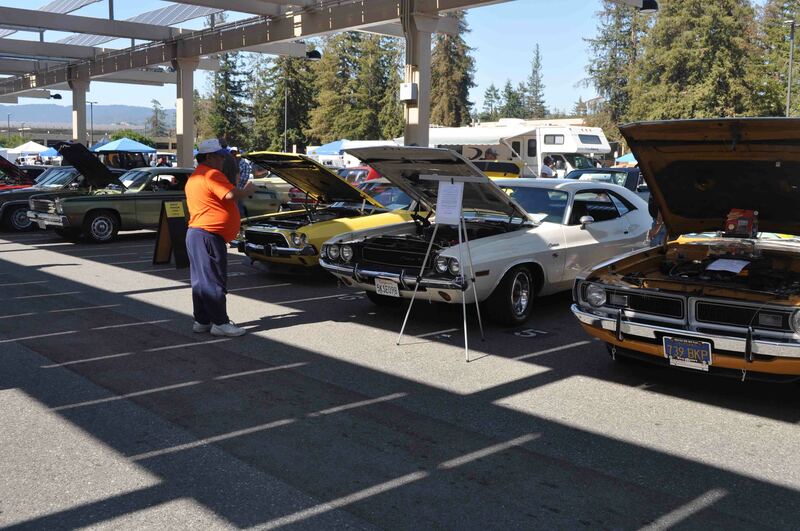 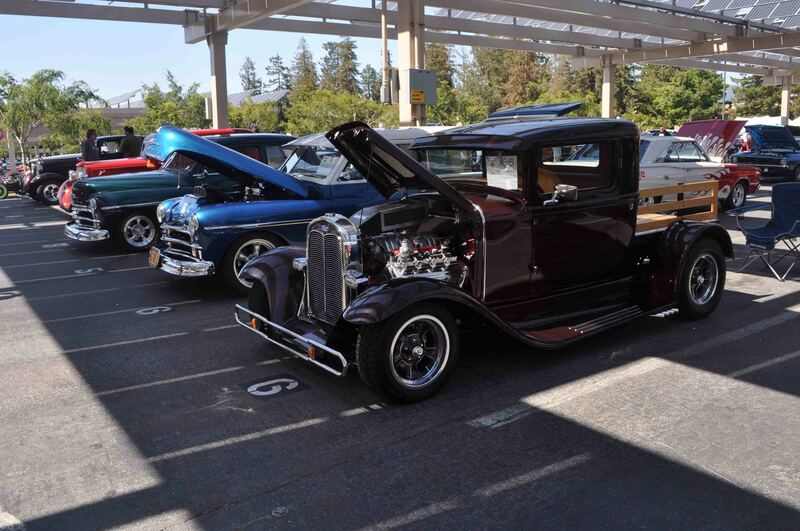 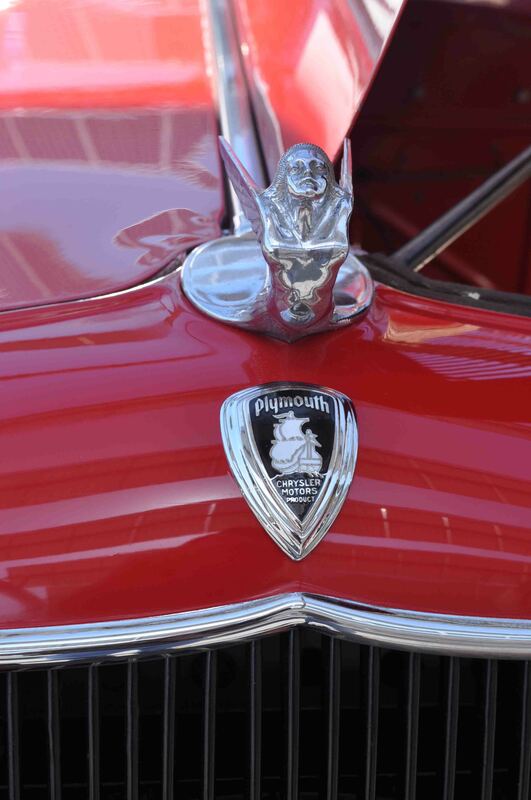 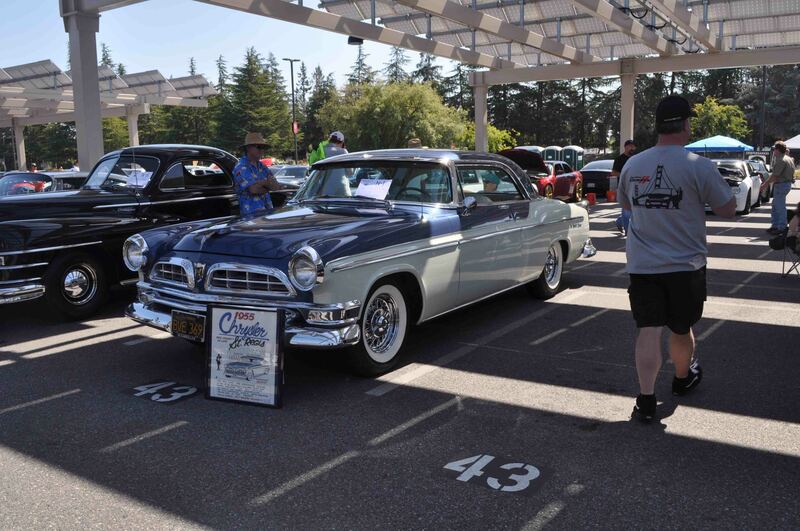 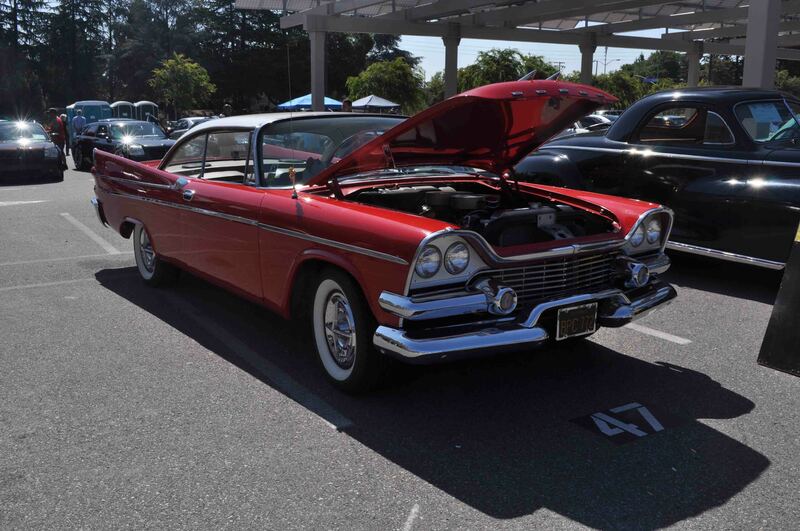 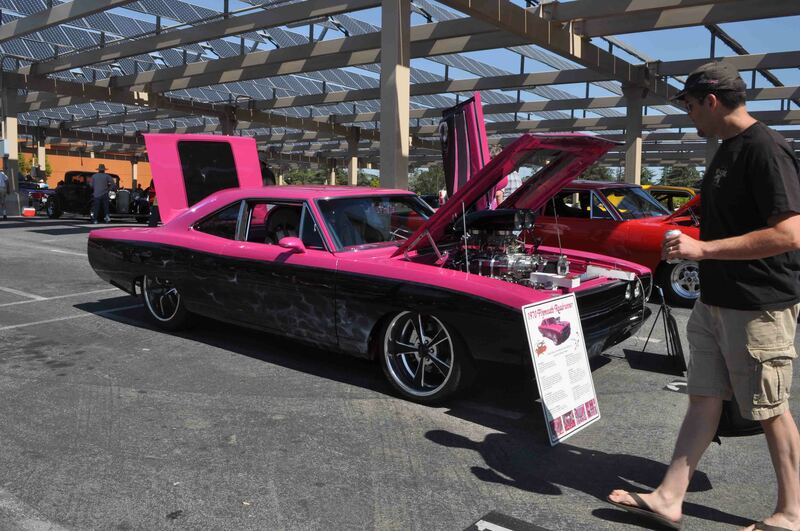 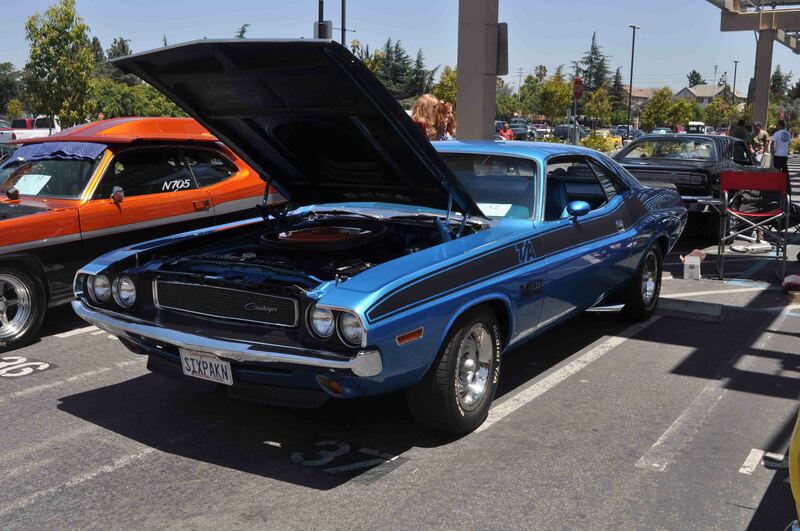 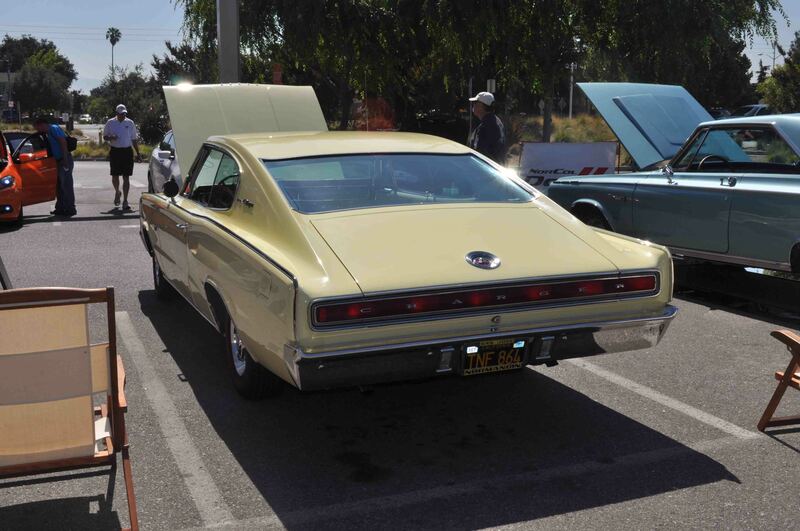 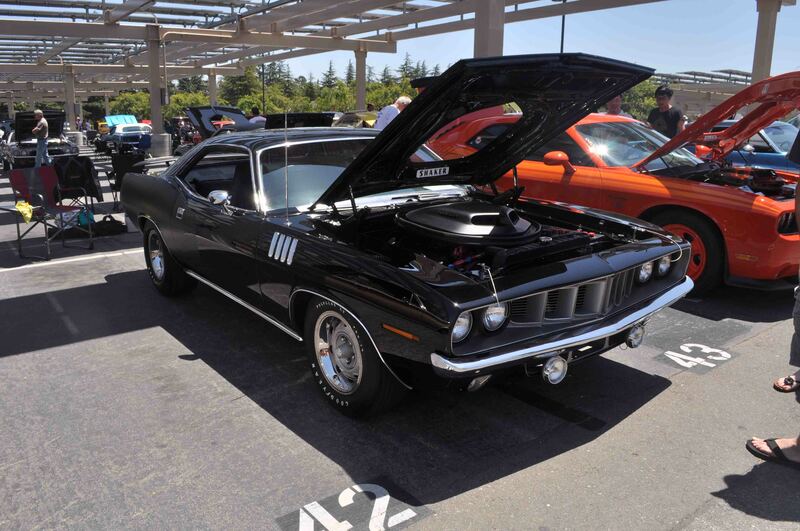 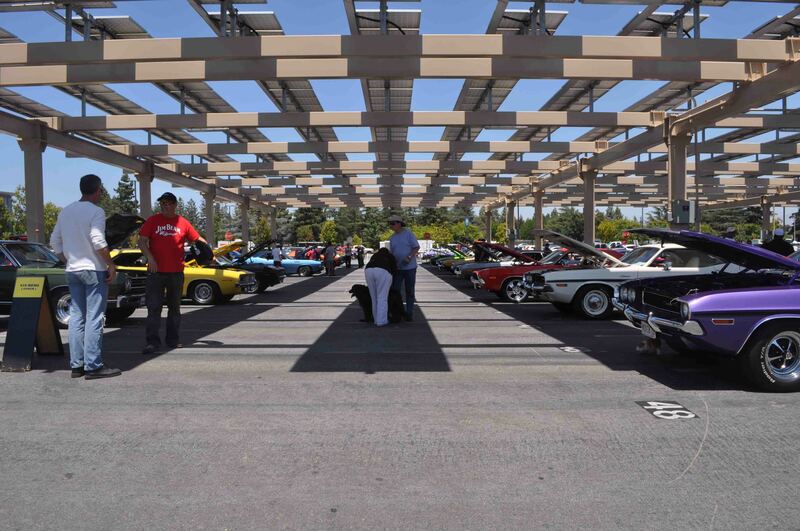 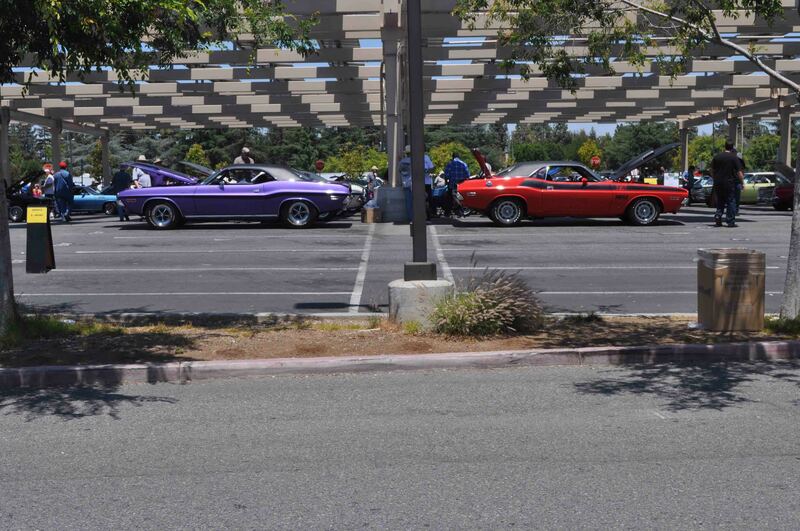 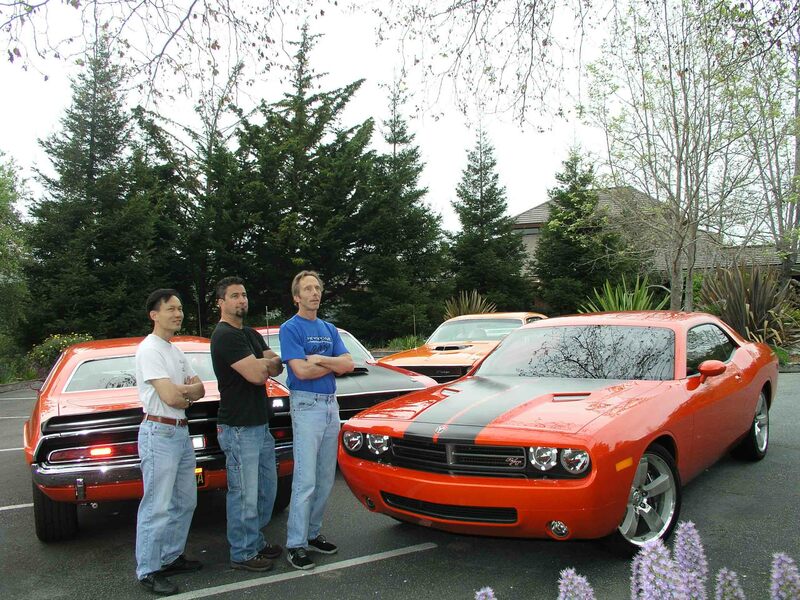 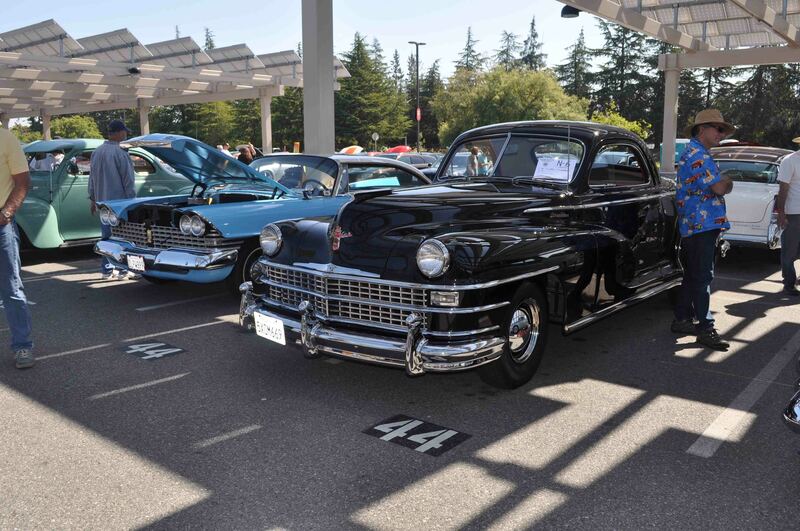 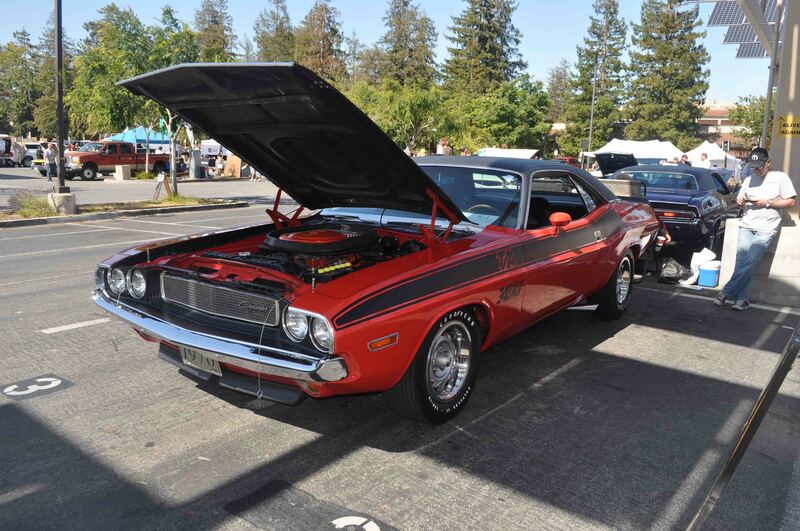 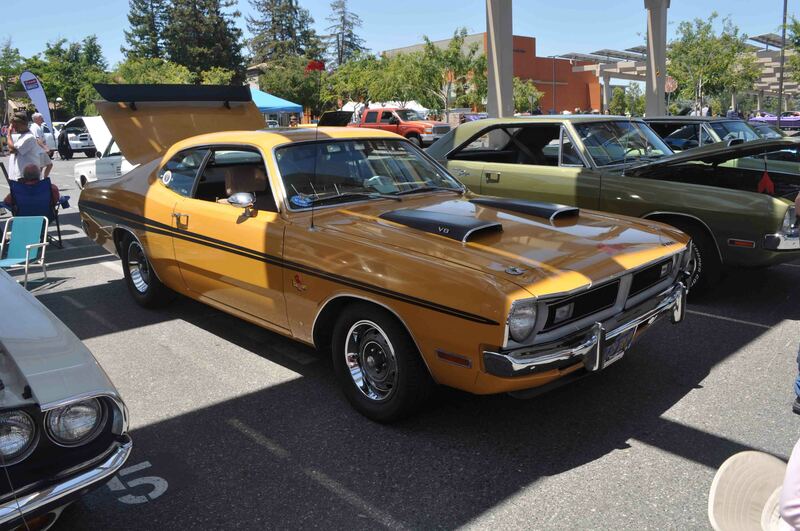 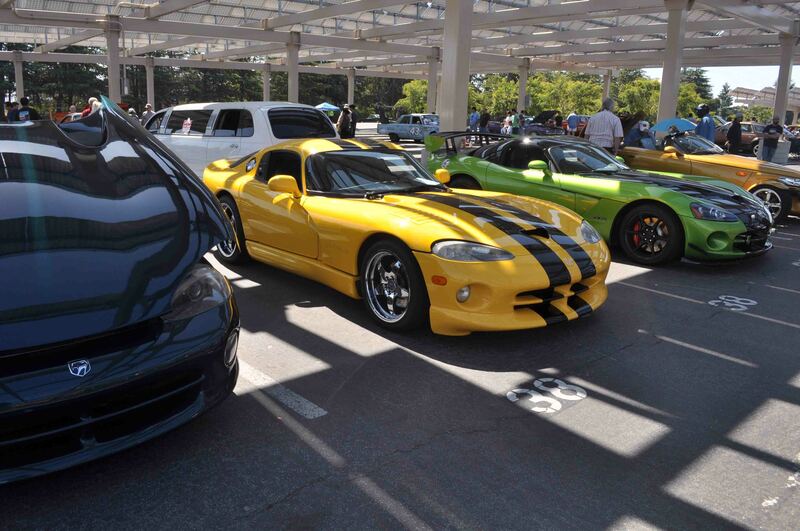 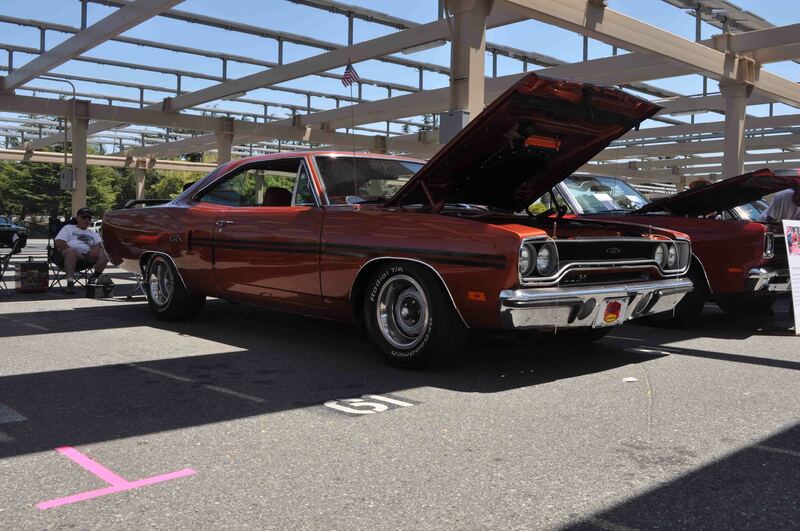 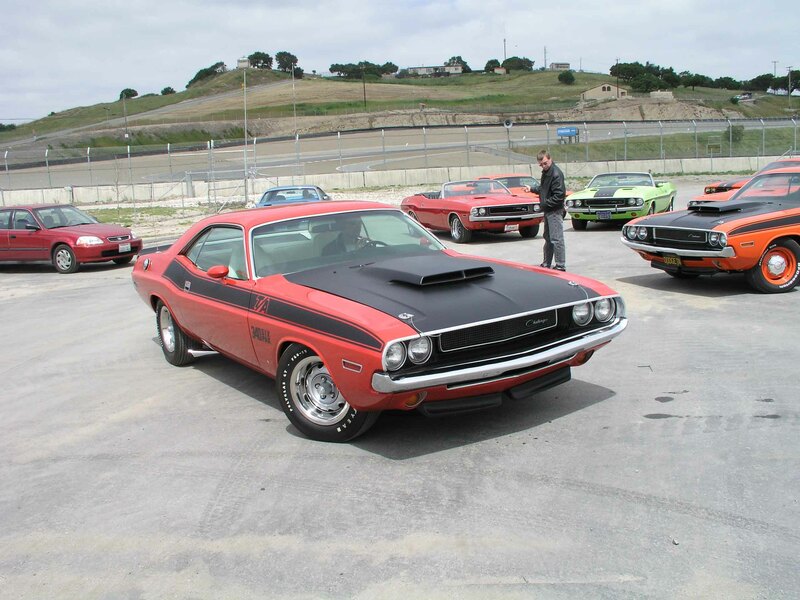 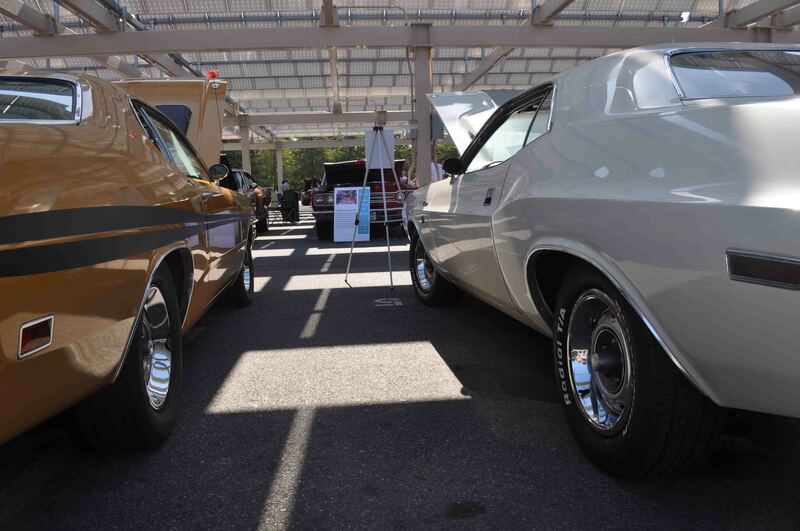 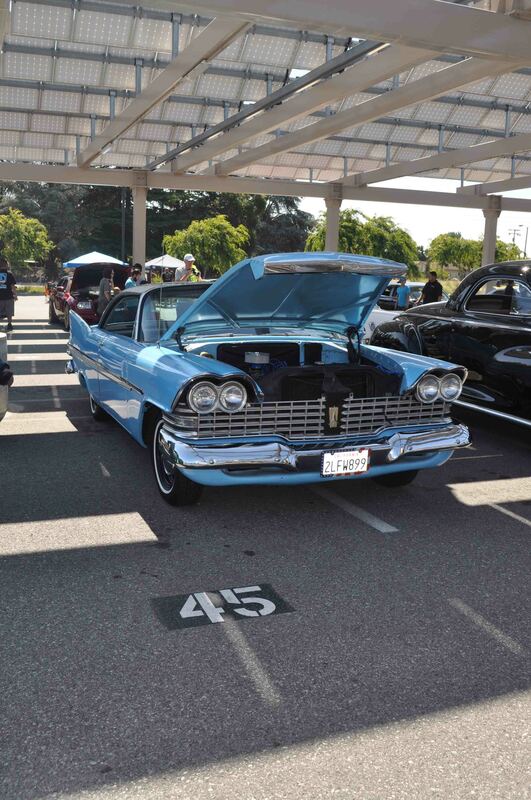 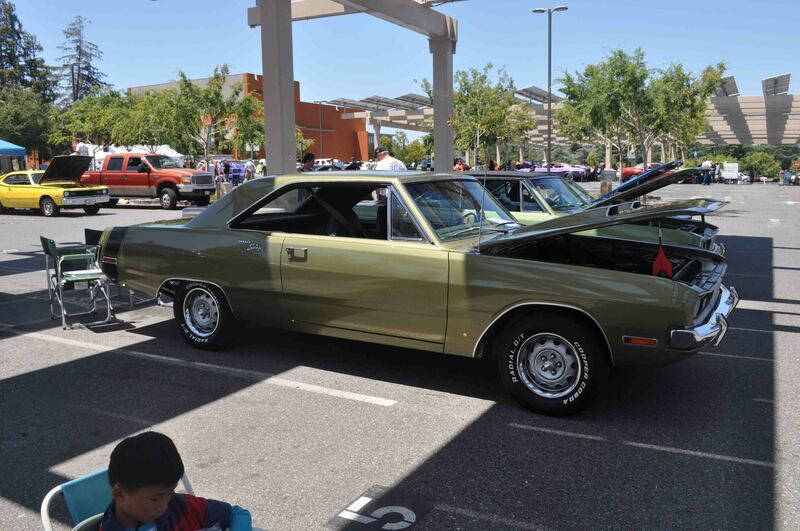 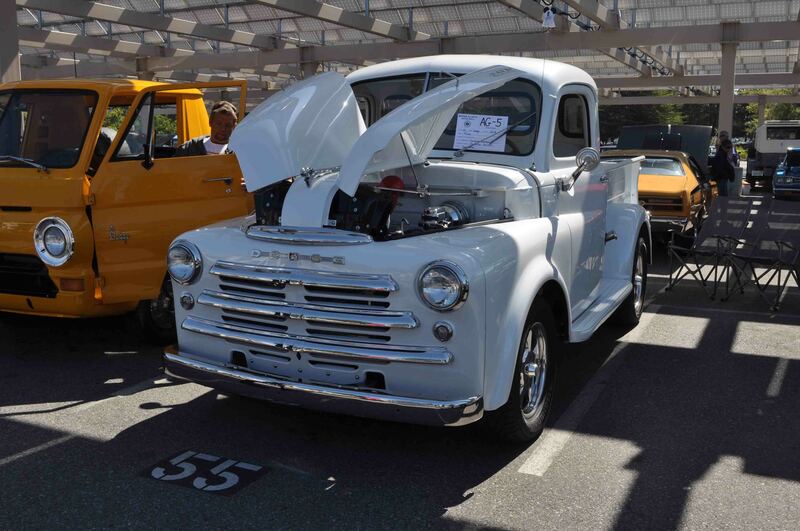 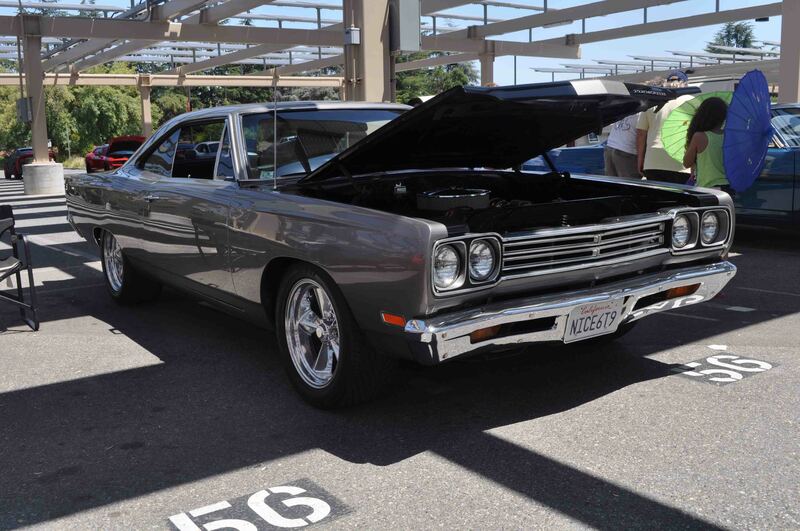 As the largest one-day MoPar car show in California, with over 350 cars annually, this year Mopar Alley found a new venue for their car show at De Anza College. 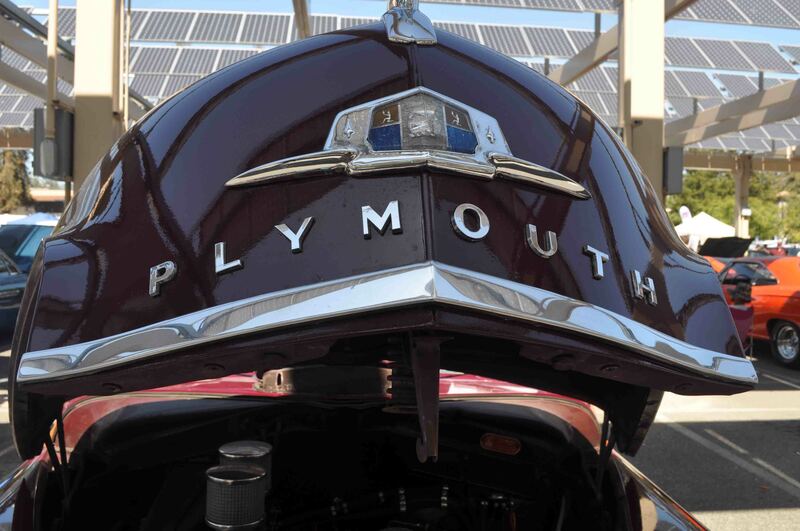 The newly renovated parking lot comes equipped with solar panels overhead which saved most of us from getting toasted by the sun. 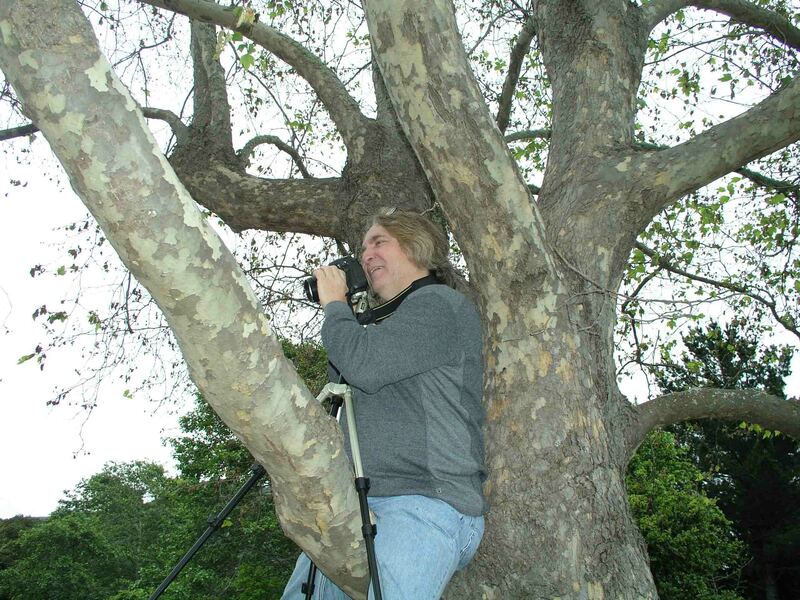 Below I’m sharing some of my photos for your curiosity. 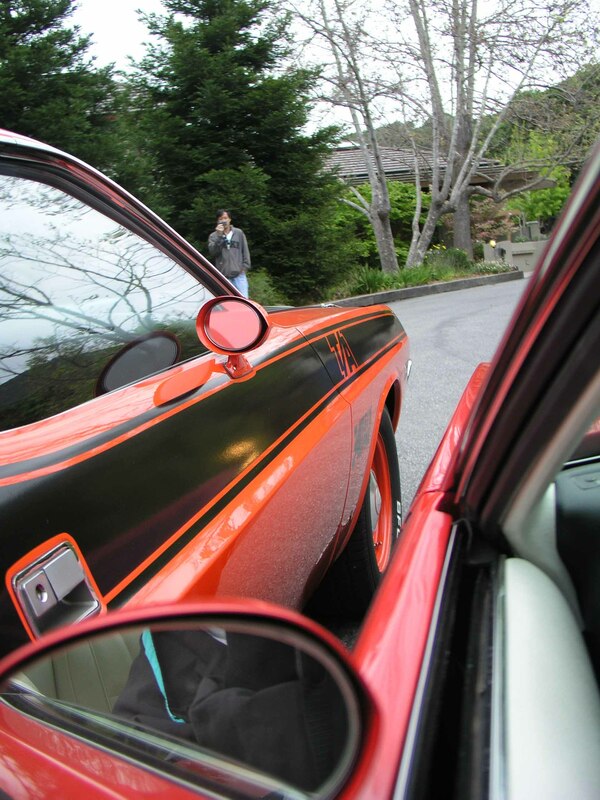 I also have the text that was posted in front of my car for passerbys. 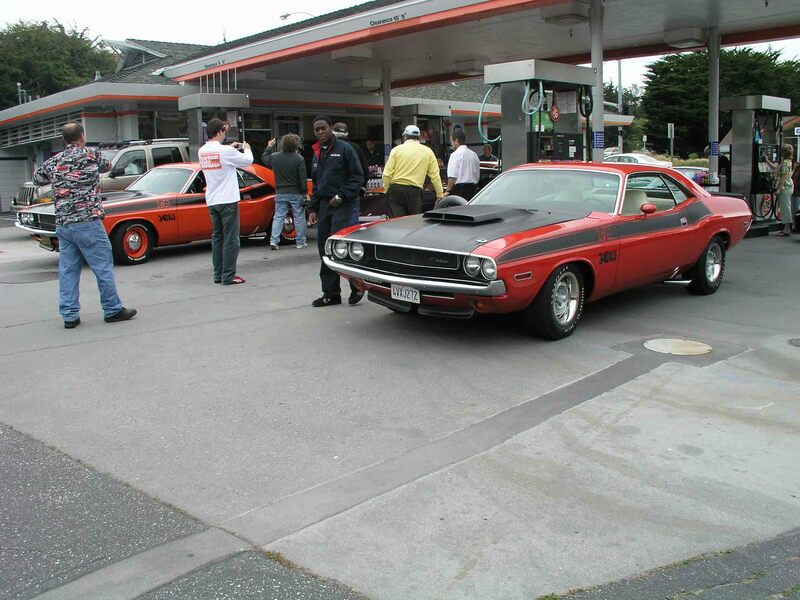 One guy who was looking for a 1970 Challenger for a project car asked if he could sit in my car (as per my invitation below) and, being a minor ambassador for the MoPar world, I was happy to let him. 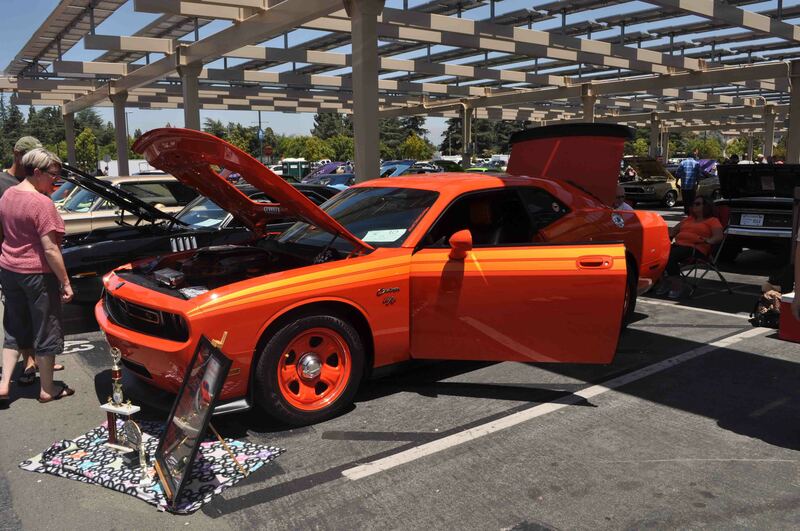 I’ve entered this car show at least 4 times. 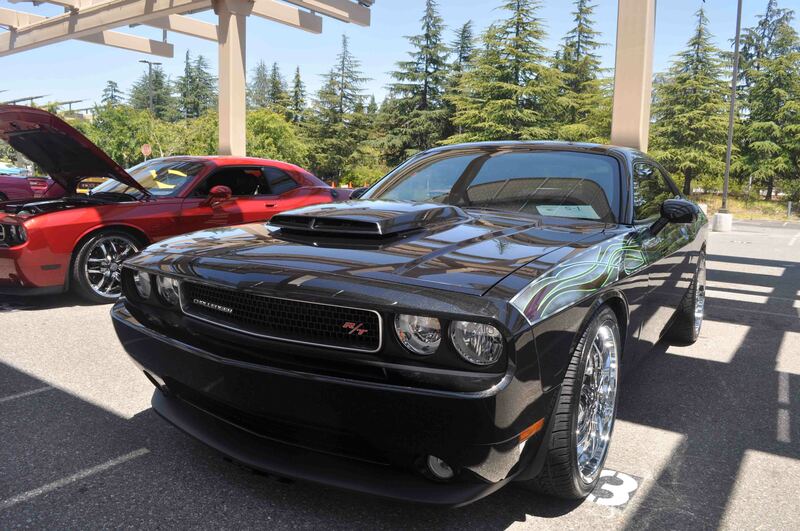 I haven’t won anything yet, but I’m okay with it. 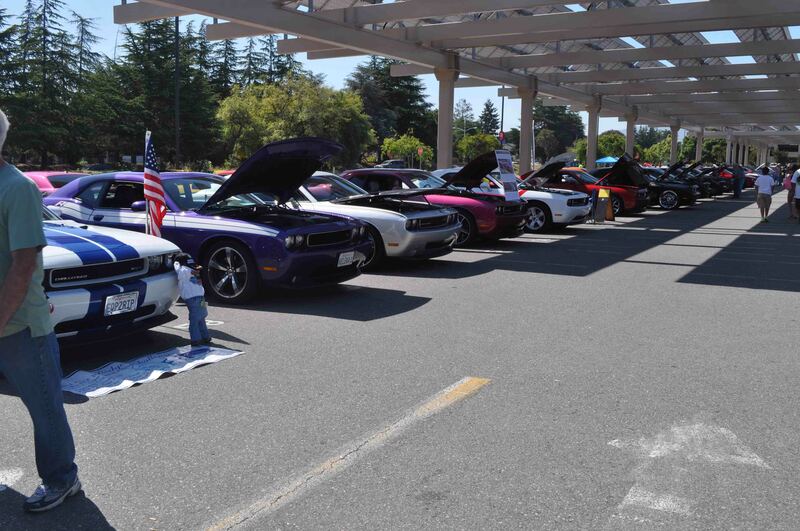 Being a popular vote, there’s more fun involved. 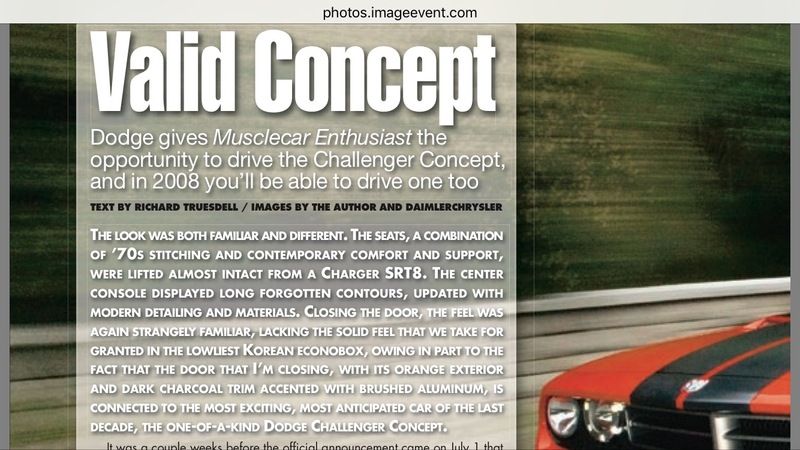 The best part of being at these MoPar shows is talking with people interested in sharing stories and information, taking pictures, and, for me, catching up with some reading. 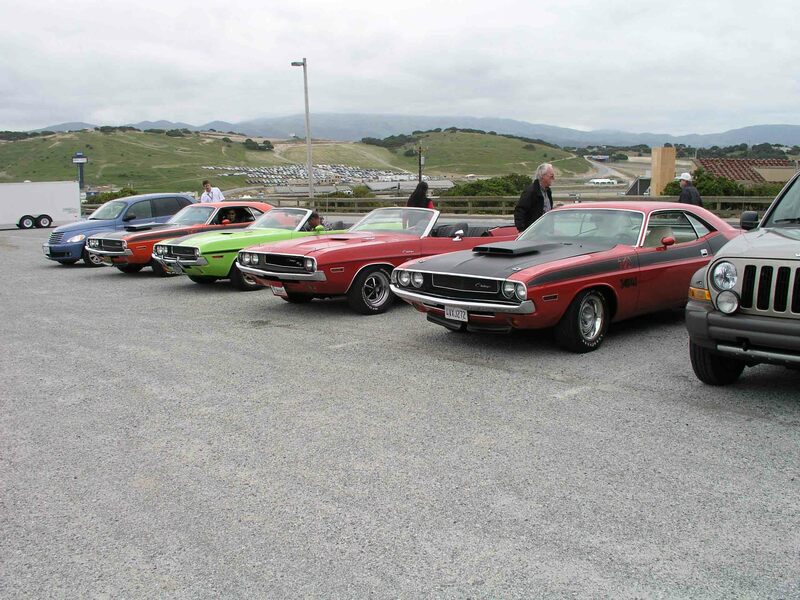 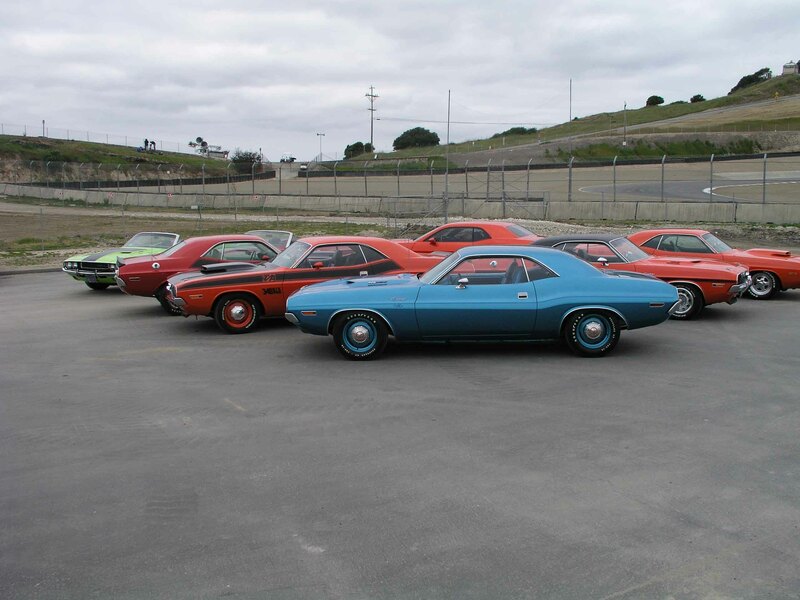 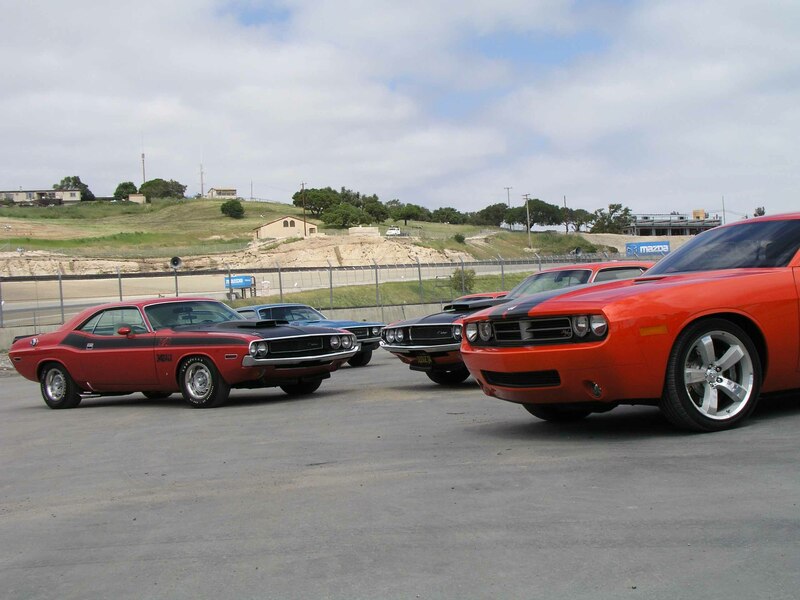 This year I entered my R/T in the “Daily Driver 1968-1974” class with 7 other cars. 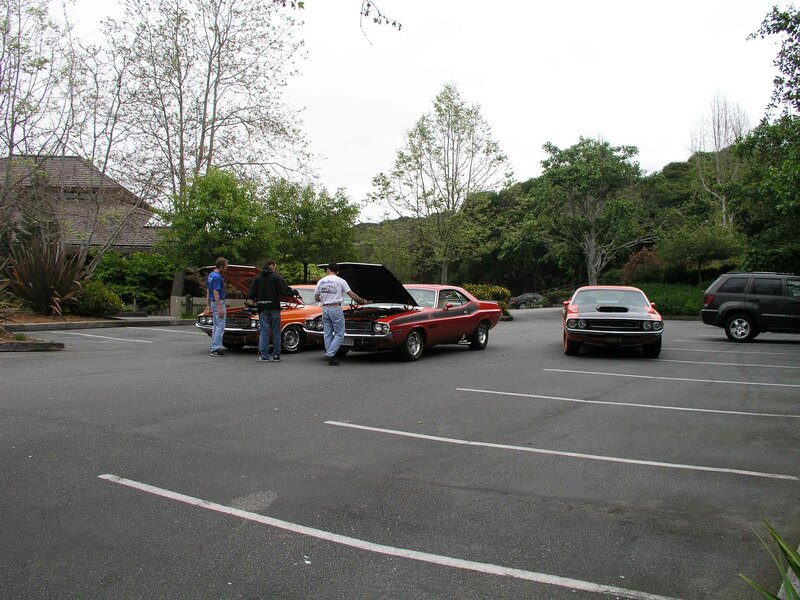 I don’t consider my car “Stock” and I don’t consider it in a show quality “E-body” category, or a “Pro-Street” class. 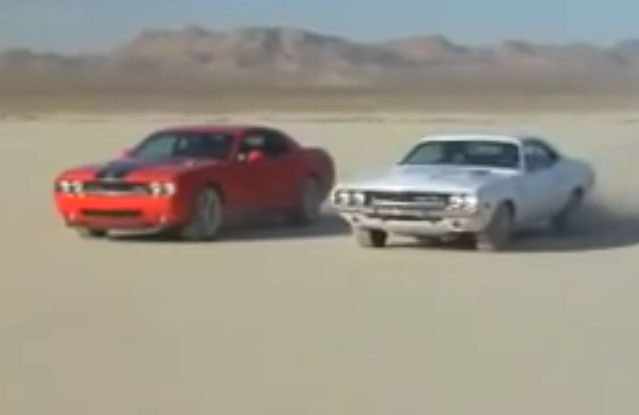 Maybe a “Vanishing Point” category would work? 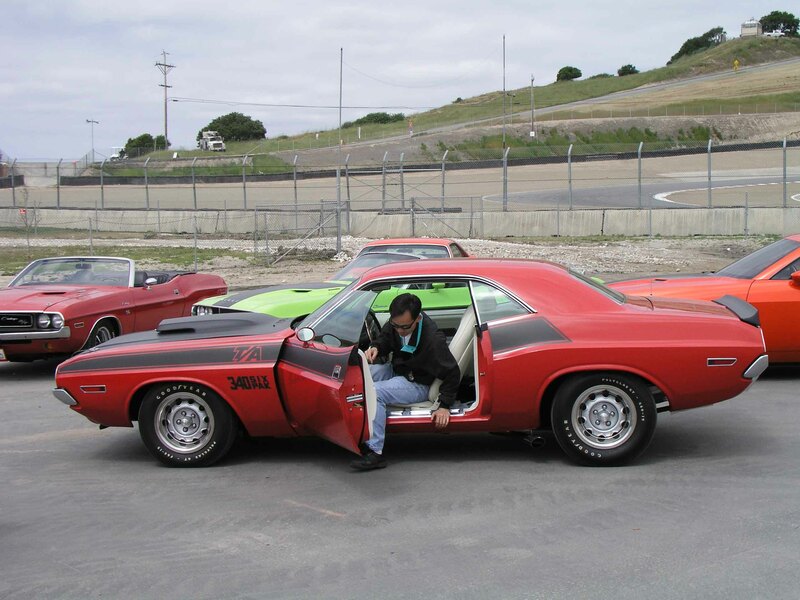 In the past I entered my restored FE5 (Bright Red) T/A, and the competition in that category is really tight. 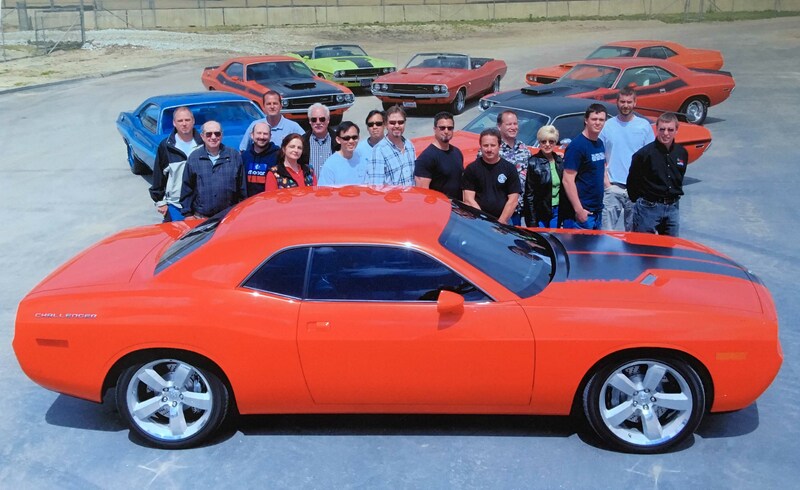 A very nice, crowd favorite EB5 blue on blue 4 speed T/A owned by Barry Bentley takes the category almost annually and if they didn’t force category 1st place winners to compete in the following year’s “Topgun” class, someone like Barry could possibly take the 1st place category every year in his car’s class. 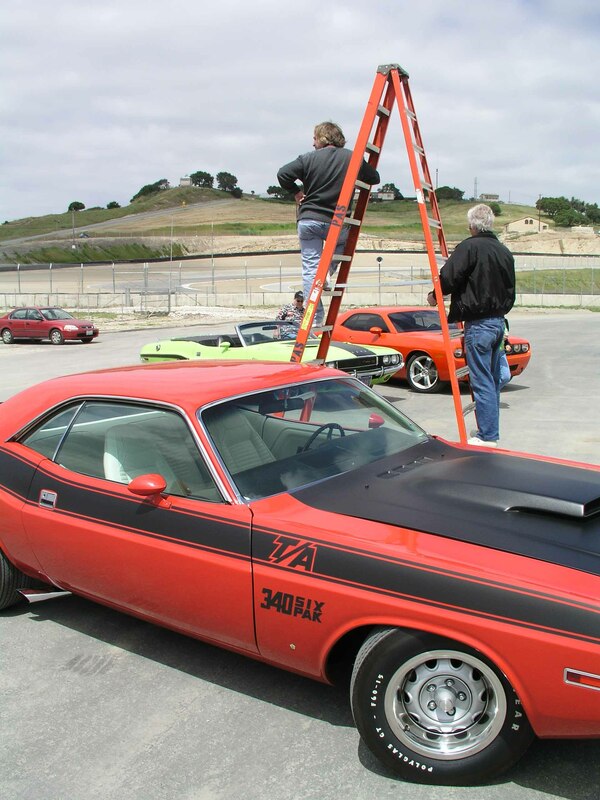 This year there was only one other T/A, a very nice Fe-5 with a black vinyl top, owned by David Gibbons, in T/A class (see in photos)… ding! 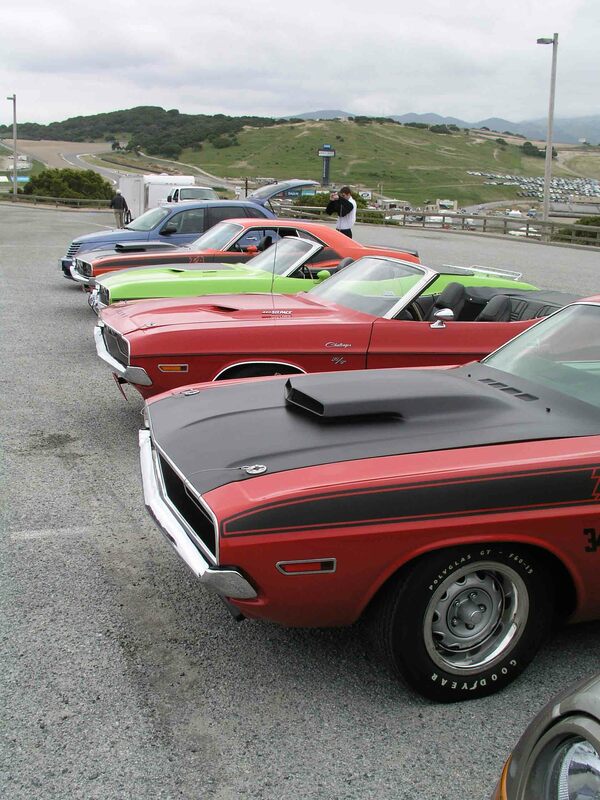 winner! 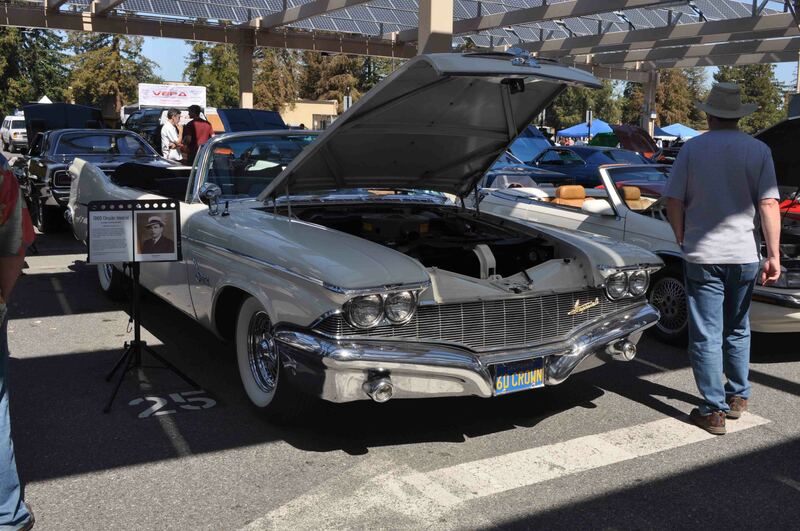 (I did manage to take 3rd place in the Concourse d’Elegance at Stanford University back in 2004 which is judged strictly by officials). 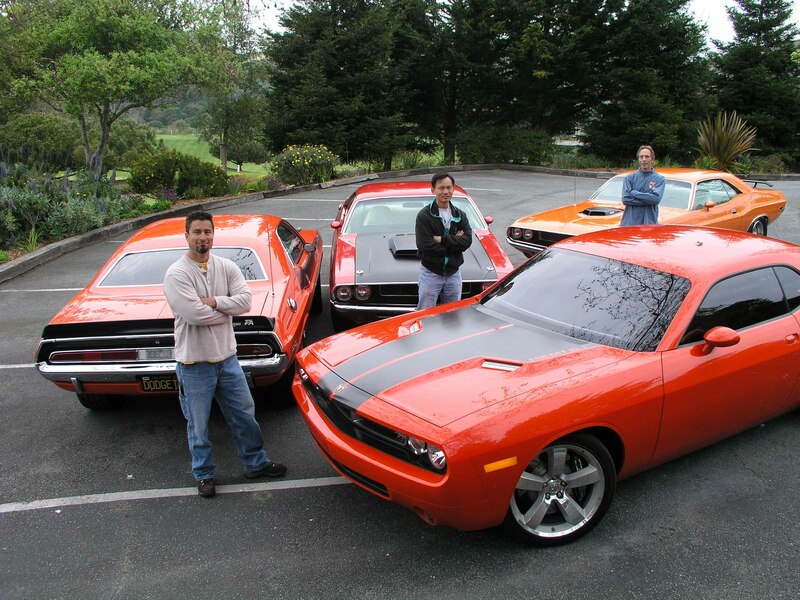 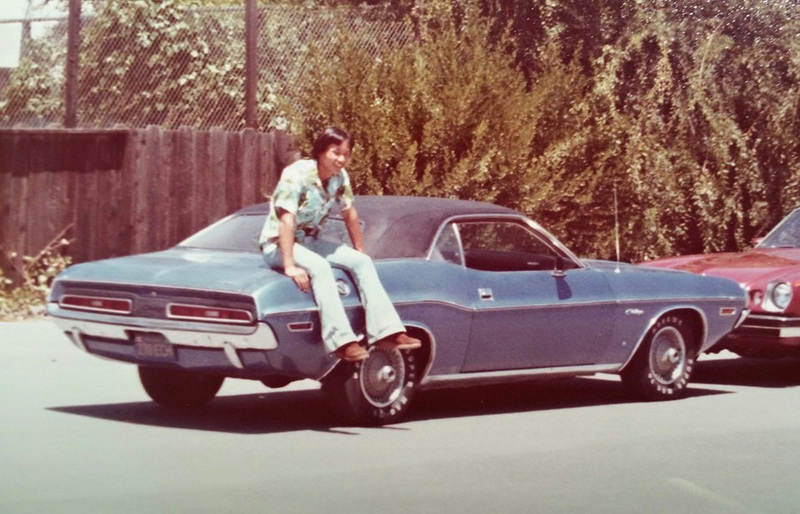 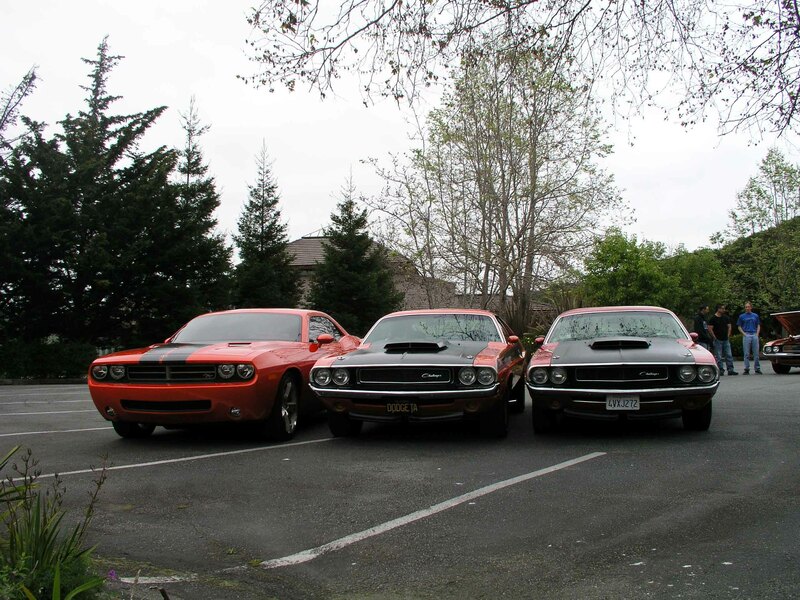 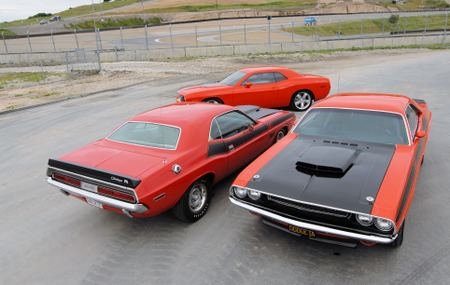 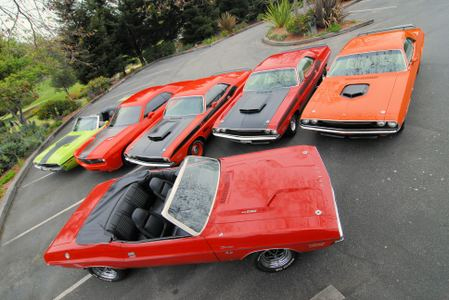 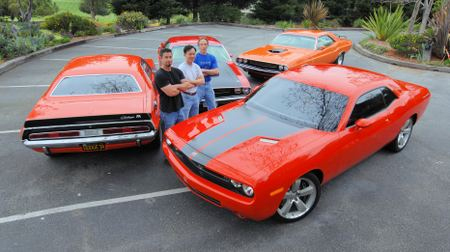 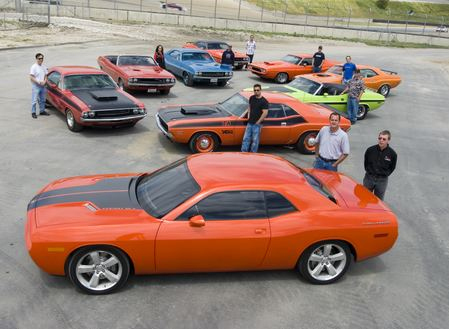 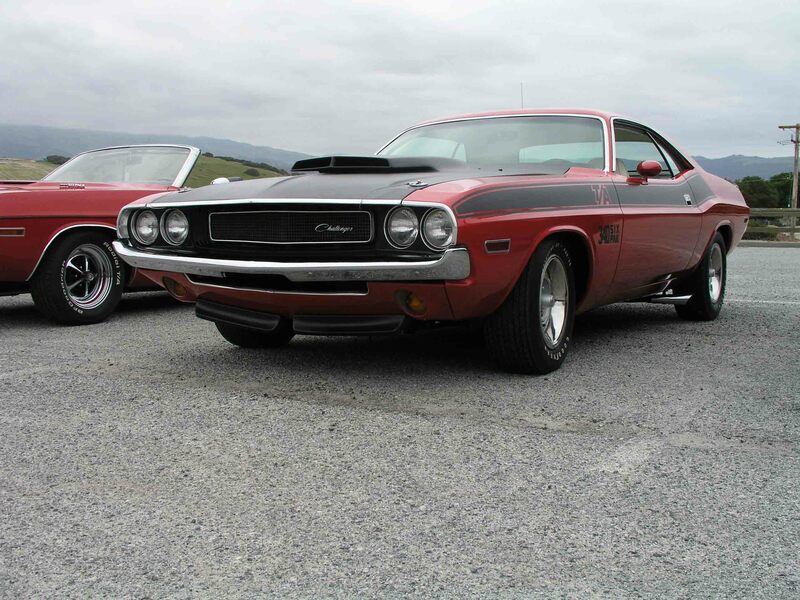 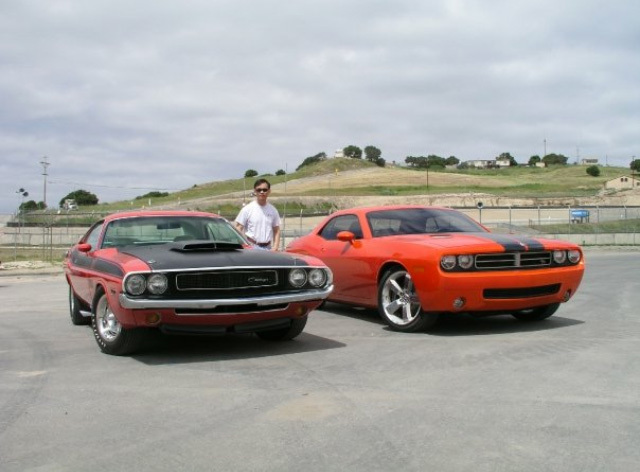 Hi there… I am a real 1970 Dodge Challenger R/T. 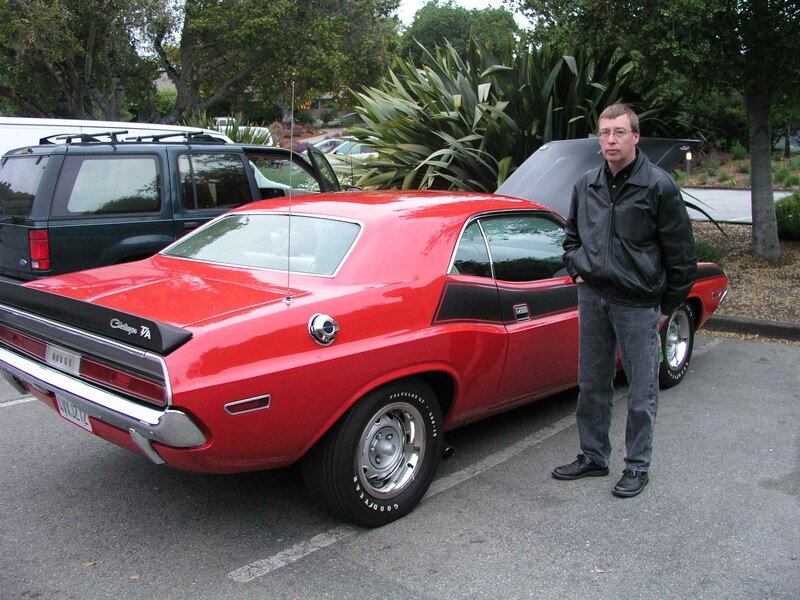 I am a 44 year old muscle car and a driver. 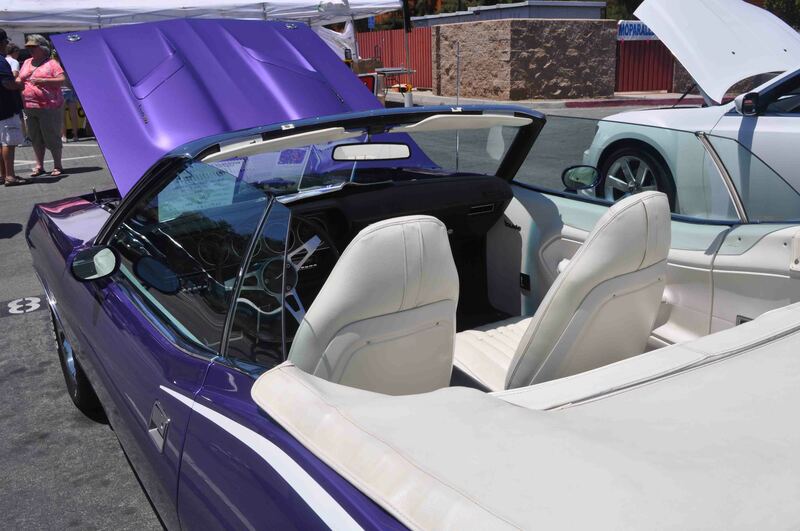 It’s okay to touch me or ask my owner questions if you want to. 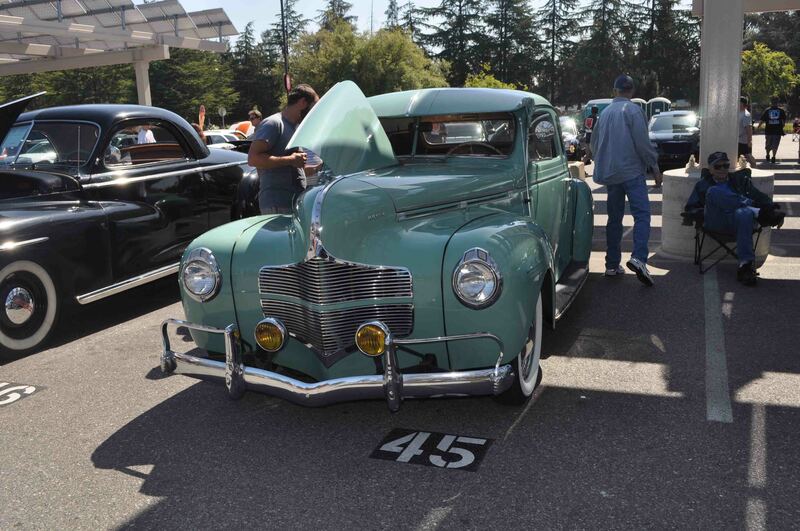 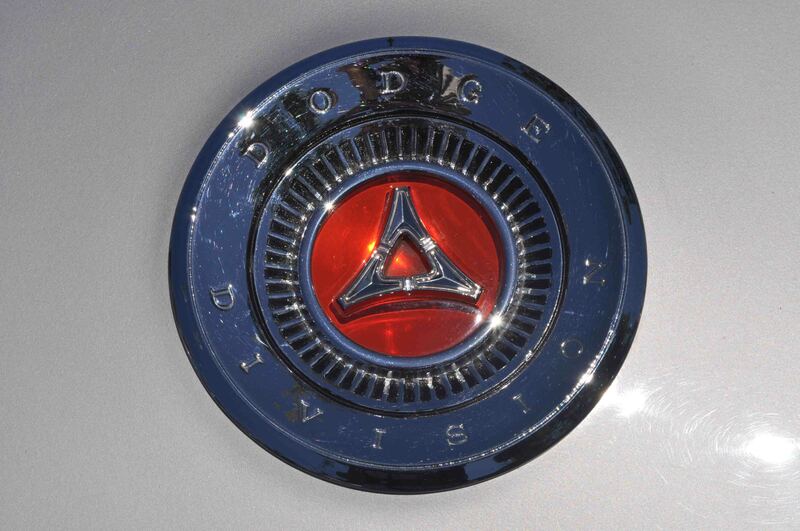 I am known as an “N-code” E-body which means I was originally built with a 383. 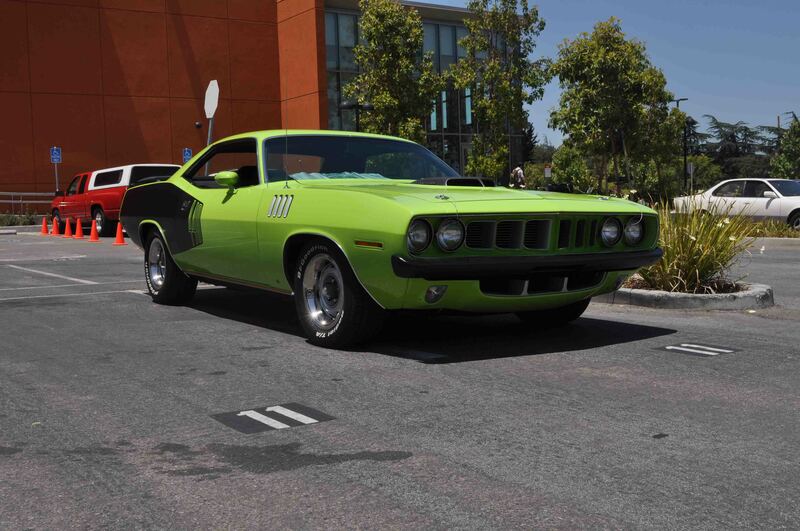 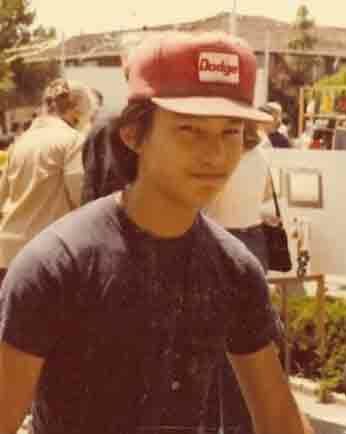 Actually, I originally came with an automatic and was painted Sublime-Green with a black bumblebee stripe. 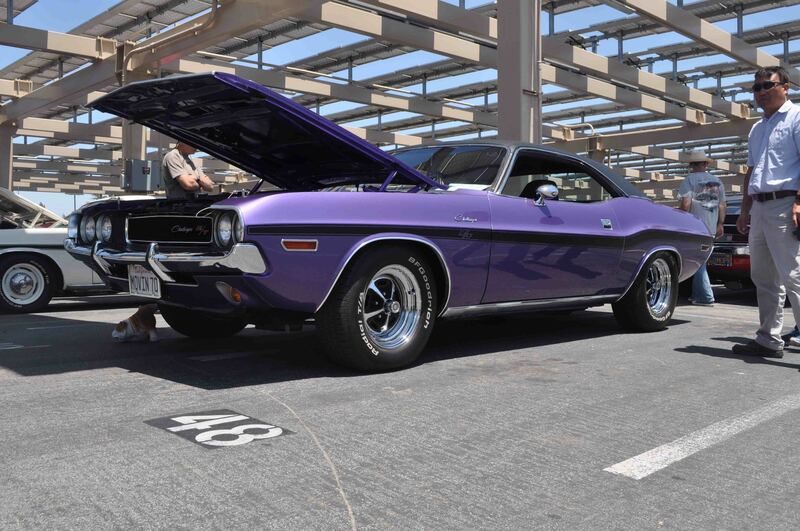 At some point at least 3 owners before my current owner, my engine was replaced with a 440, with, I think, a .480 cam, headers and a Richmond 5-speed with 4.56 or stiffer gears. 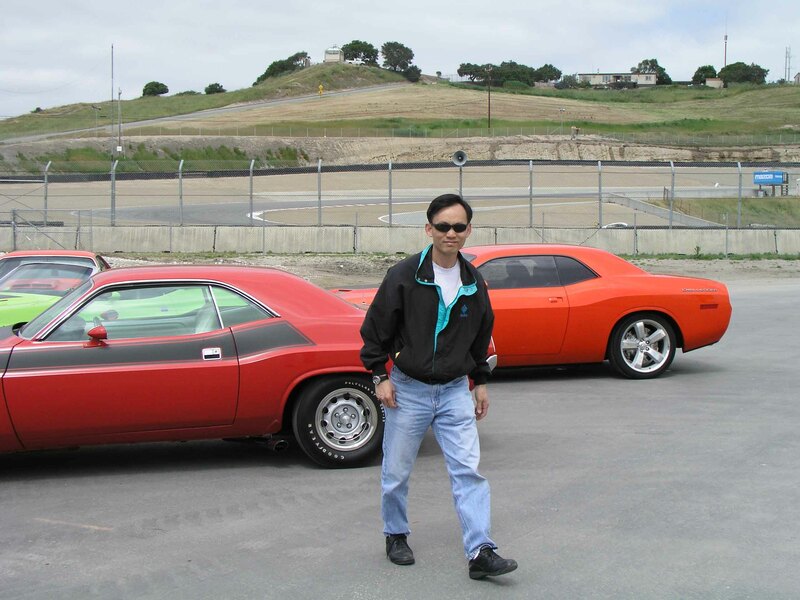 I was driven pretty hard since the 5th gear is 1:1. 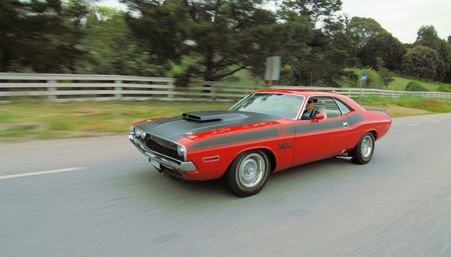 Two owners ago, the rear axle gears were changed to 2.94’s which go well with the Richmond 5-speed since 5th gear is 1:1. 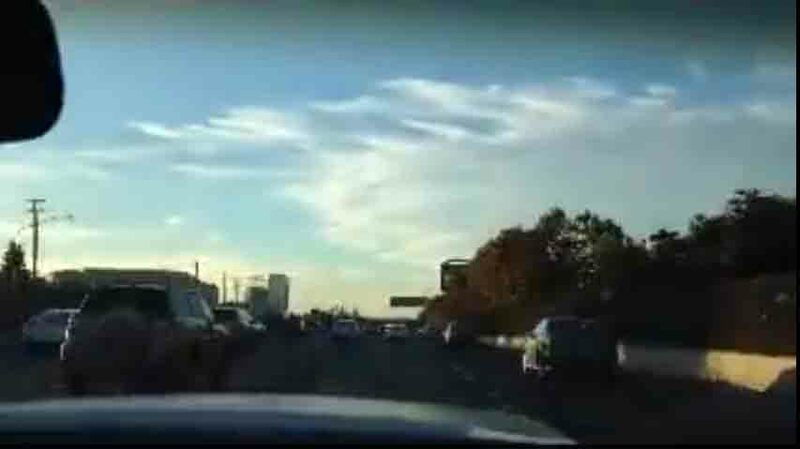 Highway driving is decent. 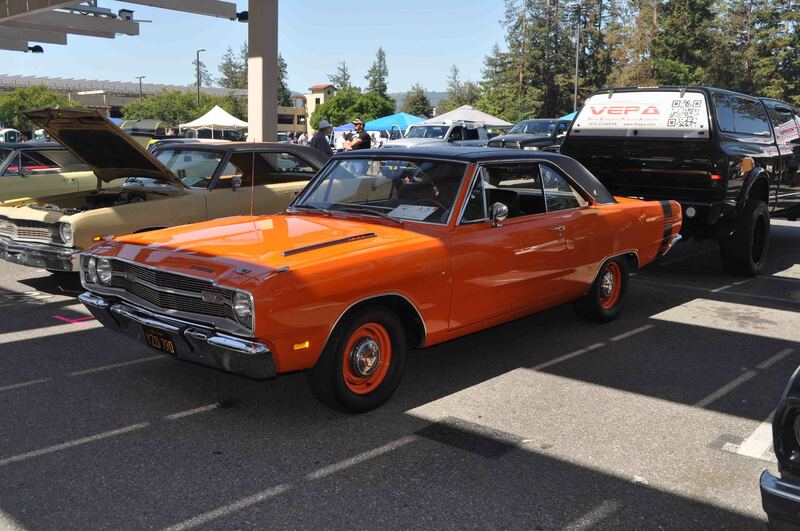 Recently I’ve had my suspension upgraded and my 44 year old frame stiffened a little to handle the 440 and had a Six Pack added to match the hood emblems. 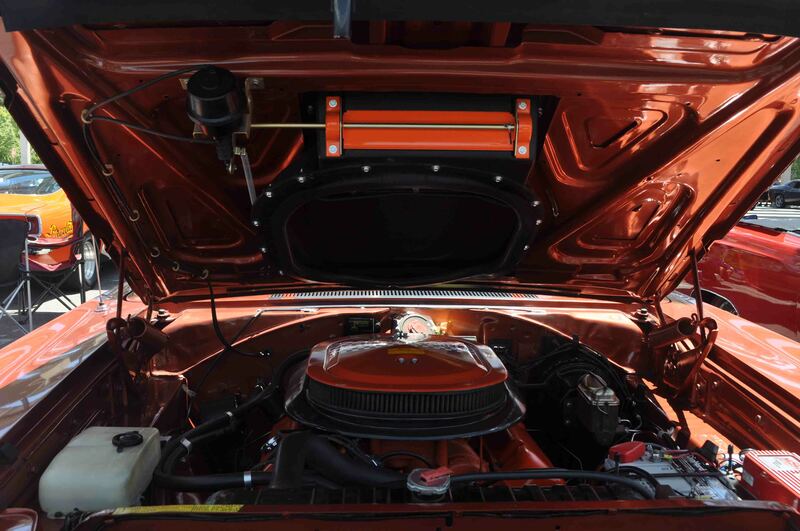 If you noticed, the Six Pack Air cleaner decal says “340” not “440”, this is because this air cleaner assembly is from my owner’s Challenger T/A (which he has since had to sell). 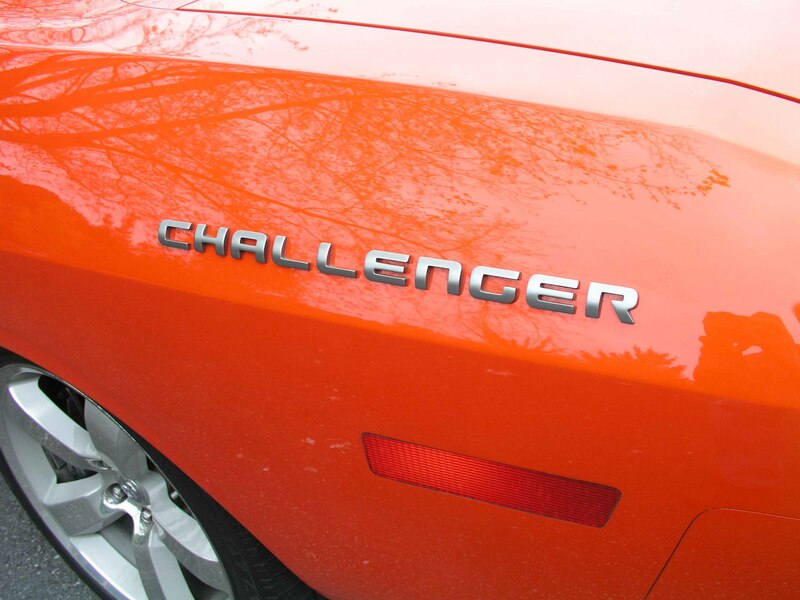 When he bought that Challenger, it came with the wrong air cleaner assembly but had the correct 340 decal. 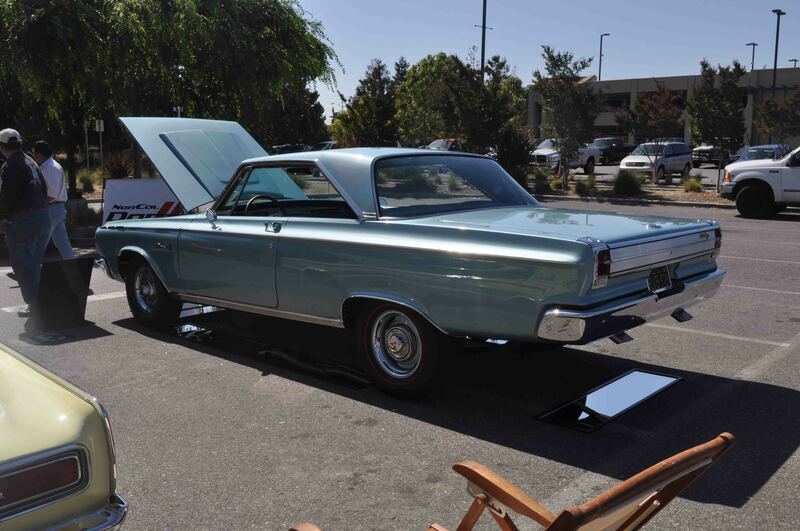 During the restoration of that car, my owner kept that air cleaner assembly for me, a big-block MoPar. 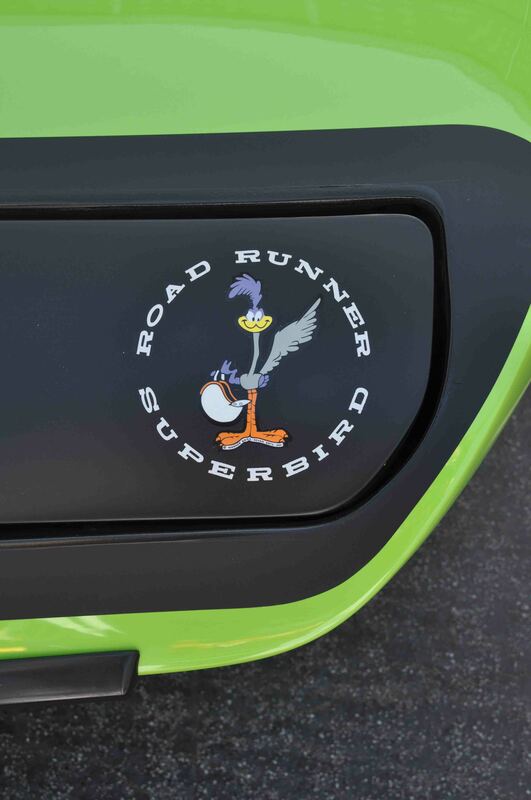 He’s got a new decal but hasn’t gotten around to fixing it yet. 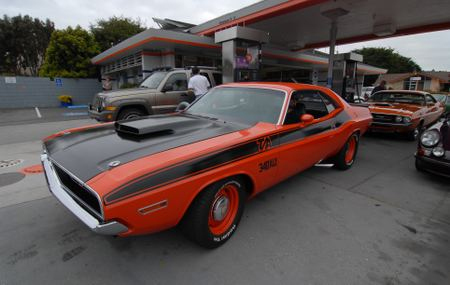 So for now, it’s a memorial to the old car (which was sold to a guy in Kentucky). 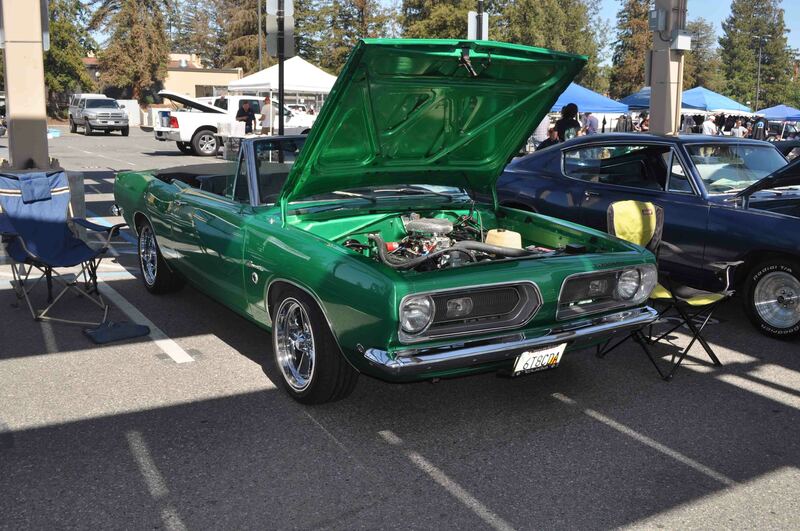 I still need my carbs tuned to get all my power back and by next year, I hope to get rid of this dorky-looking upholstery and headliner for a new set of Legendary NOS style upholstery and seat buns. 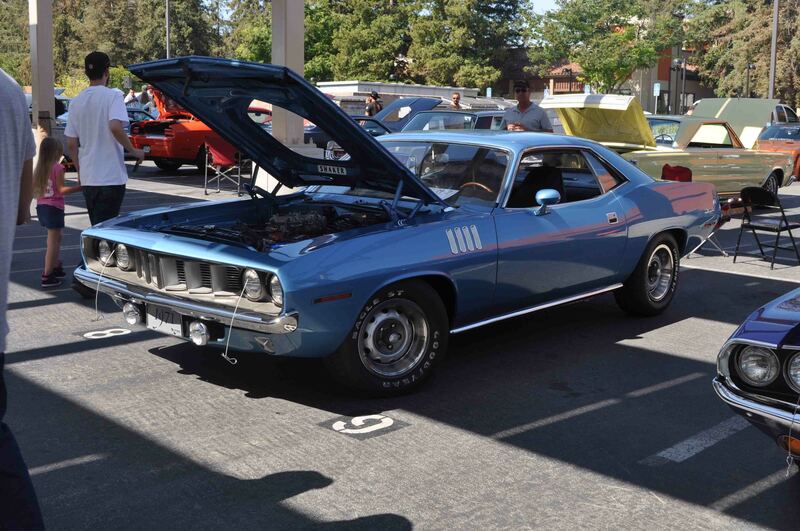 Since my owner likes the 1971 film “Vanishing Point”, I am probably going to remain Alpine White.